Eric Topol is one of the highest-value of the few people I follow on Twitter. He consumes information voraciously and summarizes it well without talking down to his audience. He loves technology, hates EHRs, and weighs in on the practice of medicine even though I suspect his practice isn’t very much like that of the typical doctor or even the typical cardiologist. He is quick to point out those seemingly great ideas that have had zero real-world validation in a healthcare setting. He also holds researchers accountable for proving improvement in outcomes – just making a lab value move in a seemingly good way doesn’t cut it with ET. I have mixed feelings about this book. 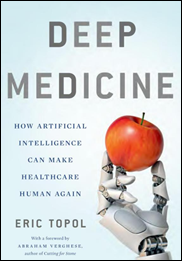 Topol provides an exhaustive (and sometimes exhausting) review of all the work that’s being done with artificial intelligence in healthcare. Trust me, it’s a lot. The downside is that this book was nearly obsolete the moment the first copies rolled of the presses, meaning I had better get return on investment for my $20.69 quickly. “Deep Medicine” is a firehose of who’s doing what with AI. By nature, a lot of that work is early-stage, experimental, and unlikely to see front-line use for a long time. Most of all, we have no idea of how it will integrate with the US healthcare industry (and make no mistake, it’s an industry). We’re not really that much different than other industries no matter what we would like to believe. I found the book somewhat of a chore to read. It has some personal stories, a bit about the history of medicine, background about companies, and of course who’s working on healthcare AI. I didn’t find it conclusive, but then again it really can’t be so early on. Will AI Really Make Healthcare Human Again? The subtitle “How artificial intelligence can make healthcare human again” sounds good and probably draws readers who are less interested in the nuts and bolts of AI. But to me, the book fails to deliver a convincing reason that Topol thinks that will actually happen. I didn’t gain any confidence that healthcare will be even a little bit more human just because AI might save clinician time. If “making healthcare human again” was a business priority, we would have done it already, AI or not. Topol expresses hope that doctors who are “given the gift of time” will be allowed to use that time to practice medicine the way they really want, to get personal with patients and to focus on their stories. That ignores the fact that most doctors these days are assembly line workers paid to treat ‘em and street ‘em in whatever way maximizes billing. It’s questionable whether the gift of time also offers the gift of higher income, and safe bets are always to assume that people do whatever it is that rewards them financially. The other issue is that given Topol’s rigor in demanding that outcomes be proven, we don’t know that spending more time with patients in “deep medicine” actually improves outcomes. We don’t even know that patients want such attention. They seem happy with the urgent care model of dropping by with a problem and leaving with a prescription. AI could amplify the impersonal nature of those interactions, pushing patients to be triaged by chatbots or kiosk-based questionnaires. We don’t know whether that would make overall outcomes and quality of life issues better or worse. I don’t recall any industry where the goal of automating the factories was to make workers happier or more self-actualized. Mostly it’s a reason to hire fewer of them or to restructure their work into something else that’s profitable. Assuming that healthcare is different is dangerously naive. This is the most important reminder of the book. The AI work being done is interesting, but unproven. 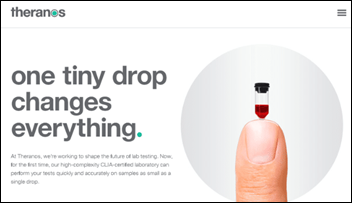 What works in a lab doesn’t necessarily work in an exam room. What works in analyzing heaps of data doesn’t necessary translate well to the frailties and idiosyncrasies of humans in their time of medical need. It’s an easy leap to become overly exuberant when reading articles claiming that AI reads images better than radiologists, that somebody’s AI system passed a medical board exam, or that IBM Watson Health is smarter than an individual clinician. None of this has been studied and proven effective in the real world. Maybe it could improve outcomes or reduce cost, but that’s just conjecture. A lot of those systems were rigged to do one thing, like Watson winning at “Jeopardy” only because it memorized Wikpedia, which is were the show’s staffers get most of the questions. Topol says properly trained AI can recognize patterns better than humans. Medical work that involves pattern recognition – diagnostic radiology and some aspects of dermatology and pathology – could perhaps be performed better by machines, leaving those doctors with time to perform other value-added services (if they can find them and if someone is willing to pay for them). The book says that doctors are burned out by EHRs that contain inaccurate information and don’t share information. He gives those doctors a pass in simply blaming EHR vendors rather than those who select, implement, and use EHRs, often with the specific goal of not sharing information and not being willing to correct mistakes, especially those the patient could easily identify. I’ll be honest in saying that I don’t trust the EHR commentary offered by authors like Topol and Bob Wachter, MD. They are often impatient in demanding an easy answer, like making EHRs as easy to use as Facebook, ignoring the fact that EHRs are designed to meet the requirements of our screwed-up health system. I do like this idea from Topol – get the patient’s consent to make an audio recording of their visit, have it transcribed, and then turn that into an office note that doctor and patient review together. Key point – auto-delete the recording in 24 hours to minimize malpractice concerns. Topol says doctors diagnose by reacting to a few patient descriptions and use internalized rules and experience to arrive at a conclusion. 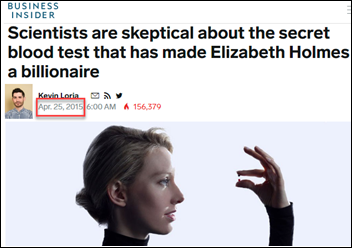 Their diagnostic accuracy rate is nearly perfect if they figure it out within five minutes, but it drops to 25 percent if they have to think longer. Topol also makes this point, which seems to conflict with the theme of the book – diagnostic accuracy doesn’t improve when doctors slow down and think more deeply. Clinicians who were “completely certain” about their diagnosis were wrong 40 percent of the time, based on an autopsy’s cause of death. The #1 reason a diagnosis results in a malpractice lawsuit is that the doctor didn’t consider the diagnosis that was eventually found to be correct. Doctors say they could improve given better chart documentation. The challenge for doctors is that they see a small number of patients, often of specific demographic composition. Personal experience can’t stack up to analyzing large patient data sets. This is an important point. Doctors don’t consistently incorporate evidence into their practice. They also can’t see their own deficiencies. The assumption made here is that lack of accurate diagnosis is a big problem and AI can improve it. I’m not so sure from a public health perspective that it’s the most important problem to solve, although if AI can plow through the patient’s record, the literature, and data about similar patients to improve diagnostic accuracy under the doctor’s supervision, then that’s certainly a win. Topol doesn’t expect medicine to get past Level 3. The clinician will always be personally involved to some degree. To analyze surgical, cryopathology, and possibly dermatology images, where conformity across pathologists is lacking and error rates are high. The demand for “microscopists” should decrease. In this regard, Topol suggests combining radiology and pathology into a single discipline of “information specialists” instead of “pattern recognizers.” That’s an interesting thought, although again tinkering with the lucrative incomes of doctors who are backed by politically astute societies usually doesn’t work. My overriding feeling in reading this book is that like much of healthcare, the benefits of AI won’t be spread evenly. You have the challenge of making sure that AI is trained given a broad set of demographics to avoid bias based on location, race, economic status, etc. but those people are already underrepresented in the healthcare system. AI can’t fix that. AI could also be like self-monitoring tools such as the IPhone’s arrhythmia detection. Not everyone can afford an IPhone, is motivated to use it for self-monitoring, or has a clinician on standby to respond to the hypervigilant monitoring of the economically well off. On the other hand, we don’t have the research to know if those tools have any effect on outcomes or cost anyway. They sound inherently good, but so does robotic surgery, which Topol notes has done nothing to improve key outcomes. This is a fairly interesting book, assuming you like deep literature and news searches summarized loosely into a sometimes unconvincing narrative about AI in healthcare. Topol doesn’t follow the Silicon Valley mantra that AI will eliminate jobs, but instead lays out ways it could help rather than replace clinicians. That’s a compelling but simplistic view of how our healthcare system works. The underlying assumptions are far from certain. We’re a profit-driven healthcare system, and attempts to wrest that profit back in the form of reduced costs rarely work. We also don’t know what patients want or what really moves the outcomes needle, so just throwing AI at interesting healthcare problems isn’t necessarily a huge step forward. There’s also the question of who’s willing to pay for all this technology, which is being developed by startups and tech giants that expect hockey stick growth and endless profits. What they want may be directly at odds with what patients want. Also in play is whether Eric Topol the exuberant futurist can represent the average frontline clinician whose day looks a lot different than Topol’s. It’s nice that he has the time and resources to write a book about AI and paint a picture of medicine that incorporates it, but I’m not so sure his worldview is accurate for the industry, especially the business aspects of it. He’s made himself an expert in this narrow AI niche that may or may not make him the best person to assess its use. People with hammers are always looking for nails. We already have a lot of problems to fix. We’re probably not choosing medical school classes optimally or training doctors the right way. We are certainly not compensating them for doing the right things, and a fee-for-service system encourages practicing medicine that is clinically unsound but financially desirable. We don’t really know what patients want, or how they see the role of a PCP (if at all). We have ample evidence already and much of it isn’t being used on the front lines to make clinical decisions. In short, while judiciously applied AI might provide some modest diagnostic and efficiency gains, I remain unconvinced that it will transform a healthcare system that desperately needs transforming. 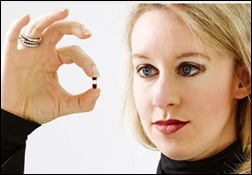 “America’s Bitter Pill” is not a feel-good book (pun intended). It’s not a fun read except for those folks who enjoy a maddening, blow-by-blow description of how legislative sausage is made. It tries to add drama and personal vignettes to events whose outcome is already known. Steven Brill tells us the obvious – the US healthcare system is a mess, the Affordable Care Act is a Band-Aid rather than major surgery, (and in fact made things worse in some ways), and there’s no resolution in sight. The main message is that the Obama administration realized it had no chance of pushing through comprehensive healthcare reform given the presence of a strong healthcare lobby and rabid Republican opposition, so the ACA ended up being a Frankenstein law that was watered down with so many compromises that it did little except to expand the sales of medical insurance. Political reality forced the administration to limit ACA to addressing coverage, not cost. Hospitals, drug companies, and device manufacturers stand to make even more money under ACA, which is why their powerful lobbyists – who practically sat at the table while the ACA was being negotiated – gave their required blessing. 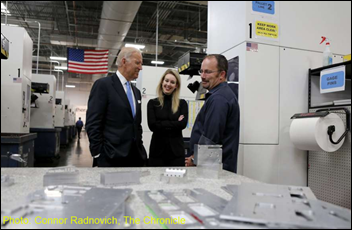 Creating drama from politics requires characterizing people and organizations. President Obama is portrayed as well intentioned, but a bit detached and lazy in leaving the ACA details to others. White House staffers are seen as power-hungry and anxious to get Obama’s ear. CMS is a plodding, incompetent bureaucracy that vastly overestimated its ability to launch Healthcare.gov. Former US CTO Todd Park and HHS CTO Bryan Spivak are nice, geeky guys who weren’t invited to the Healthcare.gov table until it melted down. Insurance companies are low-margin businesses that are held hostage by greedy and ever-expanding hospitals that use their consumer brand identity to force high prices; insurance companies are also an easy but undeserving political target because that’s where the healthcare rubber meets the road for most consumers. It’s interesting to read about how much influence data geeks have. An army of government number-crunchers has to to turn vaguely worded legalese into budget impact numbers that can make or break campaign promises, i.e. are new government ACA costs taxes or is the program budget neutral? Insurance companies have their own quant people whose insurance pool models determine their financial risk over many years. The stars of the book might just be the analysts whose numbers drove big political and business decisions. The basis of Obamacare is the Romneycare three-legged stool: (a) a competitive insurance marketplace disentangled from employers; (b) a mandate that everyone buy medical insurance to avoid the self-selection in which healthy and young people opt out of subsidizing sicker and older ones by buying insurance; and (c) massive government welfare programs to help pay the medical insurance premiums for those who can’t afford them. You can imagine the ugly details involved in rolling out this three-legged stool as a huge, complex law that even those legislators who passed it didn’t read in its entirety. 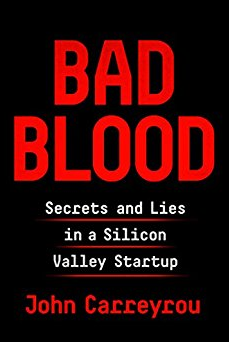 The book makes medical device makers as bad guys who escaped significant impact other than being charged a small medical device tax that they simply passed along to their customers. Their profit margins are extraordinary, their customers are hospitals who not only buy their products at high prices but then mark them up in selling them to patients, and they have positioned their products as a beacon of American medicine. Drug manufacturers are bad guys, too, using their political influence to prevent importation of drugs from Canada (which like every other country, has much lower prices than here), to gain extended patent protection for biosimilar products, and to kill a provision that would have allowed Medicare to negotiate drug prices rather than paying made-up market prices. Lobbyists had their fingers in the pie at every step, including those representing odd industries such as soft drink manufacturers, tanning bed groups, and ambulance services. Every member of Congress made sure to protect any back-home businesses that would have been negatively affected, including those that should have been targeted. The author is sympathetic to physicians. He says Congress targeted them inappropriately in 1997 in its panic over rapidly increasing Medicare spending, implementing the Sustainable Growth Rate (SGR) payment cuts that have been overridden by Congress every year since. A fix was supposed to be in the ACA, but that, too didn’t make the final bill, and neither did tort reform. CMS is characterized as just about as inept and bureaucratic as you would expect.They were afraid that Congress would de-fund some of their “offices” in their hatred of Obamacare, so they renamed them “centers” to make them an internal expense rather than a separately budgeted “office.” That bit of political sleight of hand came back to bite them, as the newly demoted “office” that was supposed to be overseeing Healthcare.gov was outranked by CMS’s procurement groups. Still, the blow-by-blow on Healthcare.gov seems to be a distracting attempt at injecting drama and maybe selling a few more copies of the book. Government software failures, cozy contractor deals, and cost overruns are the rule more than the exception. The site was quickly implemented and horrendously complex, a massive integration effort involving other government systems run by the IRS, Homeland Security, and others. It failed, but it was fixed fairly quickly. Healthcare.gov is only a tiny part of the ACA. There were no particular lessons learned except perhaps that rushed, complex legislation that requires a rushed, complex technology solution is probably a bad idea all around. Non-profit health systems are portrayed as somewhat well-intentioned monopolists unwilling to give up huge profits and executive salaries, using their hometown pride as big employers and their vague public threats of reduced quality from reduced payments to protect their huge incomes. The author mentions the complaints of the CEO of Montefiore Medical Center, who wailed about potential ACA-caused patient harm through lower margins just as the hospital turned a $197 million profit and that same CEO took home $4 million for the year. Brill talks about the cutthroat Pittsburgh market in which UPMC and Highmark hardballed each other and got into each other’s businesses trying to dominate the market. Brill concludes that President Obama should be admired for pushing through broad healthcare reform even though he hadn’t expressed much interest as a candidate, but says that his failure to get involved with the details of ACA’s implementation will be be his unfortunate legacy. The backroom deals with profit-making entities ensured that the ACA fell far short of true reform and in fact will probably increase corporate profits as newly insured people consume their products and services as patients. Brill says Obamacare won’t stand as a popular Democratic program such as Medicare and Social Security since it only helped the 20 percent of Americans without an insurance and another 10 percent or so who had been fooled into buying low-quality insurance whose benefits would run out after even a short hospitalization. The end result is that most middle-class Americans continue to struggle to pay insurance premiums and inflated medical bills, the country still can’t afford the out-of-control medical spending that makes the US globally noncompetitive, and employers and hospitals got an easy out in blaming their ensuing self-serving actions on Obamacare. Brill makes it clear that he would have preferred a single-payer health system, but he doesn’t notice the irony that in calling out CMS as inept bureaucrats, they run the closest thing we have to a single-payer system in the form of Medicare. He should have spent more time writing about that (and the VA’s government healthcare delivery system) than in trying to create TV moments in the form of Healthcare.gov war room arguments. Let the big health systems get bigger and cut out the middleman by starting their own insurance companies, as long as each major metro area has as least two big players, but cap their profits. Limit hospital executive salaries to 60 times the salary paid to a first-year medical resident, or about $3 million in UPMC’s case (the CEO is making $5 million now). That’s not only a generous CEO salary cap, it also ensures an unintended consequence of raising resident salaries. Why not cap CEO salaries as a percentage of operating revenue instead? Pay doctors for quality. Sounds good, but the devil is (as was the case with ACA) in the details, which are missing. Encourage health systems to run urgent care centers and other less-expensive care venues. I think ACA is already doing that. Create an ombudsman appeals process for patients or doctors who think care is being compromised. 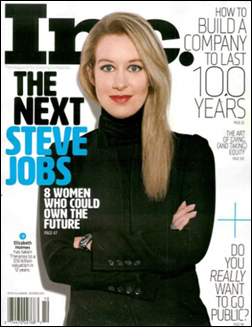 Require health system CEOs to be licensed physicians with practice experience. He doesn’t provide reasoning for this argument, but he does express disdain for corporate types that move into running health systems. He also doesn’t say much of anything about for-profit chains, including publicly traded ones. Require health systems to insure a given percentage of Medicaid patients at a specific discount. Eliminate the chargemaster and require hospitals to charge uninsured patients no more than they charge insurance companies. 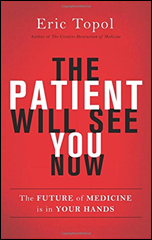 Steven Brill knew little about healthcare when he wrote his Time article and this book. In that regard, he comes across as a curious layperson outraged by what he learns, but perhaps too easily swayed by people and policies that he has filed away as “good” or “bad” in his populist outrage. The Affordable Care Act is a political lightning road and isn’t likely to be fine tuned by intelligent Congressional deliberation, so good or bad, it’s here to stay. Most of the people involved in creating it have already left government work and the Obama administration is counting down its remaining months. Meanwhile, the healthcare cash register keeps ringing for the same companies, organizations, politicians, and people who know how to make the system work for them. 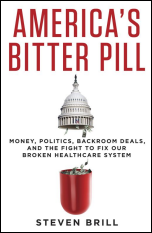 That’s what makes “America’s Bitter Pill’ unsatisfying as a reader – it’s unlikely that anything will really change as a result as healthcare costs continue to bankrupt individuals, companies, and the country itself.